Are you seeking a solution for your back pain? Do you think a new mattress could potentially ease your discomfort? If so, then this article will be a great help. Our favorite mattress for back pain sufferers is the Layla mattress, as it comes with two firmness options in one so you can find which one relieves your pain the best. 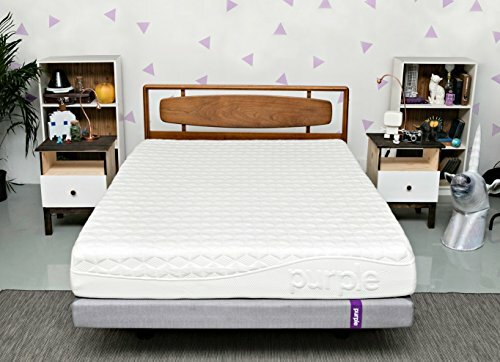 Our runner-up choice is the Purple mattress, which provides contouring pressure relief and isolates motion well. Research shows that up to 80 percent of U.S. citizens will experience back pain in their lives. Whether it’s from arthritis, a previous injury, or sitting at a computer all day, back pain isn’t a fun issue to have. This common problem can lead to missed work, bad moods, and a lowered quality of life, overall. Having an old or worn out mattress can contribute to your back pain, which obviously means that replacing your bed can fix this problem. But even if your back pain isn’t specifically caused by your mattress, getting an upgraded bed may help with it. The best mattress for your back pain will depend on a variety of factors, including the type of pain you have, your sleep position, and your body weight. This article will review the 7 of the top mattresses for back pain available on the market right now. We’ll also go over what makes a bed good for back pain, mattress materials, frequently asked questions on this topic, and more. The Purple mattress is built to relieve pressure, cradling your hips and shoulders to encourage a neutral spinal alignment while you sleep. It has an open grid design, which promotes airflow and disperses your body heat so you don’t get too hot at night. Since it doesn’t use any coils in its design, the Purple mattress excels at absorbing motion, which makes it great for couples or people with pets. The bed uses CertiPUR-US® certified foams, meaning that they were tested and found to be free from harmful levels of toxic chemicals. If you buy the Purple mattress, you’ll get a 10-year warranty and 100-night sleep trial period to try the bed out and decide whether you want to keep it. The Bear mattress combines therapeutic support and contouring comfort for spinal alignment in every sleep position. It uses a breathable cover and cooling memory foam to keep you at a comfortable sleep temperature. 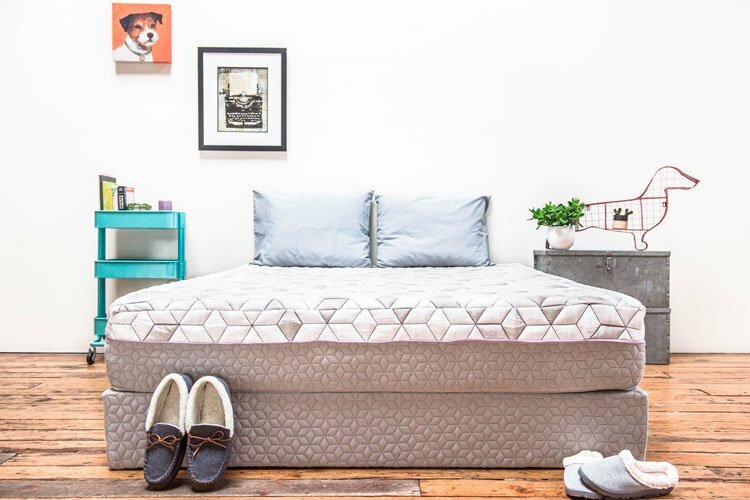 Since it made with all foam and no coils the Bear mattress is good at isolating motion, making it suitable for people who sleep with a pet or partner. 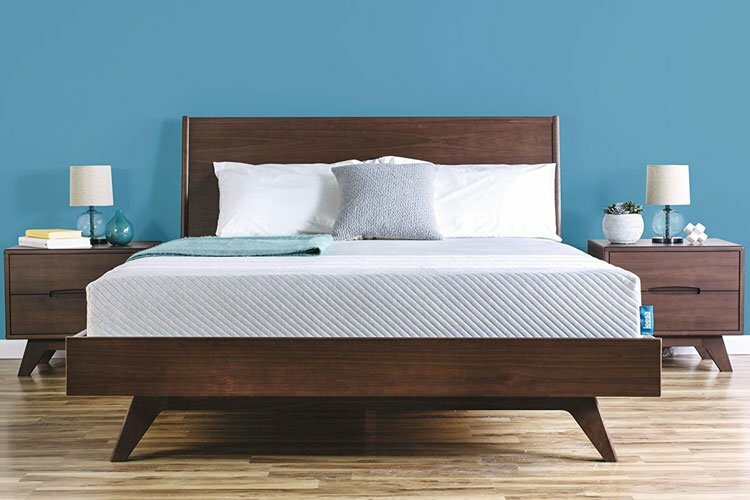 This bed uses CertiPUR-US® certified foams, which means they were tested and found to be free from dangerous amounts of formaldehyde and other toxins. The Bear mattress comes with a 100-night sleep trial and, if you want to return it, you can get your money back. The Saatva mattress uses a coil-on-coil design for support and pressure relief. Innerspring beds tend to provide a cool sleep experience because the coils allow for airflow between and around them. The bed comes in three firmness levels: Plush Soft, Luxury Firm, and Firm. The Plush Soft model is good for lightweight or side sleepers since it gently cushions the hips and shoulders in this position. The Luxury Firm model is good for the widest variety of body types and sleep positions and is used in luxury hotels around the world for this reason. And the Firm model is a good option for heavier sleepers, as it can comfortably support extra weight. 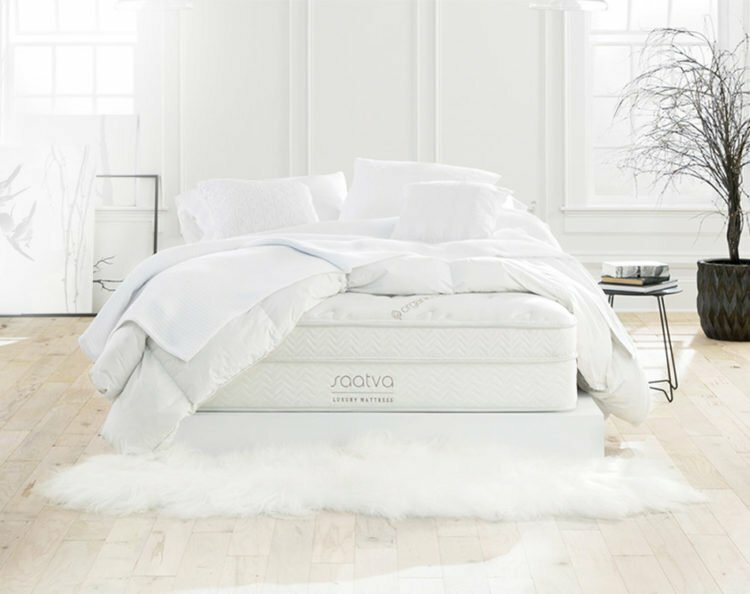 The Saatva mattress is fairly bouncy, which makes it easy to switch positions and it uses a plant-based flame retardant instead of harmful chemicals. These beds come with a 120-night sleep trial period. The Layla mattress is a flippable bed with a soft side and a firmer side. The soft side is about a 4.5 out of 10 in terms of firmness, while the firmer side is around an 8.5 out of 10. The Layla mattress uses copper in its design, which helps to regulate temperature and keep you resting at a cool and comfortable temperature. It also uses a convoluted, egg crate-shaped foam to promote airflow, so if you struggle with sleeping hot, this bed could be a good option for you. The soft side of the bed is good for side sleepers, as it cushions the hips and shoulders. The firmer side is better suited for back or stomach sleepers since it supports the pelvis, keeping your body aligned. If you don’t find one side suitable for your comfort preferences, simply flip it over and try the other side. You’ll have 120 nights to try out the Layla mattress and if you aren’t satisfied, returns are free and you’ll get a full refund. The Leesa mattress is an all-foam bed that provides contouring pressure relief and a dense, supportive base. It has a balanced amount of comfort and support, which makes it suitable for all sleep positions. Although it’s a foam bed, you won’t feel stuck in the Leesa mattress, as it has a responsive feel that makes it easy to switch positions. The Leesa mattress uses breathable foams to prevent you from getting too hot while you sleep. It comes with a 100-night sleep trial and free returns and shipping in case you aren’t satisfied with your purchase. The Avocado Green mattress uses all natural wool, natural latex rubber, organic cotton, and a layer of supportive coils. The bed is durable, resilient, and regulates temperature well. 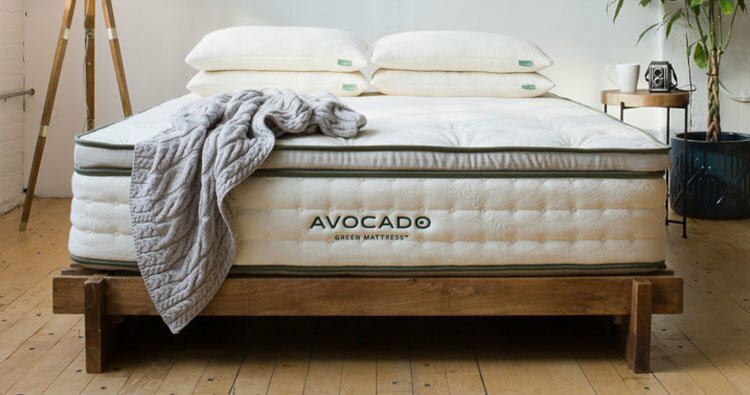 The wool used in the Avocado Green mattress has moisture-wicking properties and acts as a natural flame retardant. Avocado also has a vegan option available that uses cotton instead of wool. The bed is dust mite-resistant, anti-microbial, and built to last. It comes with an optional mattress topper for people who would like a bit of extra comfort or support in their bed. The Avocado Green mattress comes with a 100-night sleep trial period. The Casper mattress is made with zoned support that is softer under the shoulders and firmer under the hips. This helps keep your spine in a neutral position, potentially easing back pain. The Casper mattress has a breathable, open-cell foam layer that promotes cool sleeping. While it’s comfortable for all sleep positions, stomach or back sleepers might especially appreciate it due to the zoned hip support. The Casper mattress is made with an all-foam design but it doesn’t have too much sinkage. 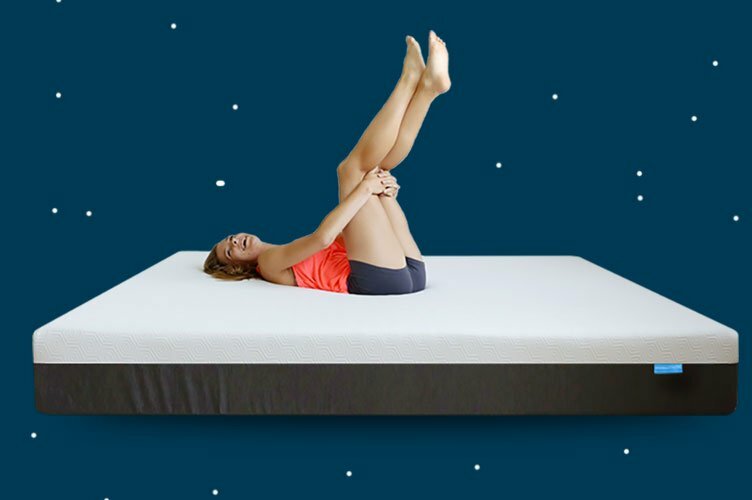 This feature means that, unlike some other foam beds, you’ll feel like you’re sleeping on top of the mattress instead of in it. This bed comes with a 100-night sleep trial period and if you aren’t satisfied with your purchase, you can get a full refund. What Makes a Good Mattress for Back Pain? Spinal alignment: The right mattress for your back pain will encourage your spine to rest in a neutral position. If you’re a stomach or back sleeper, a firm mattress could be what you need, as it won’t let your pelvis sink too far into the mattress, which can worsen lower back pain. Side sleepers should opt for a softer mattress since their body weight will rest on their hips and shoulders and a soft bed provides the plush support necessary for comfort and alignment. A medium-firm bed will typically provide spinal alignment for any sleep position or body type and is a good choice for people who aren’t sure what level of firmness they prefer. Minimized pressure points: If you’re trying to ease your back pain, you should choose a mattress that doesn’t concentrate your weight unevenly, which can create pressure points. When you’re trying out a potential mattress, check to make sure your weight feels evenly distributed across the bed. This will encourage proper body alignment and potentially help with your back pain. A cool sleep experience: Getting quality rest can help your ability to handle pain and tension and sleep temperature is a crucial aspect of good sleep. Make sure that the mattress you end up choosing has cooling properties, like gel or open cell foam, if sleeping hot is an issue for you. This will help you fall into a deep sleep each night and stay resting, instead of tossing and turning. Motion Absorption – Motion absorption refers to how well a bed prevents disturbances from traveling through the mattress. Sleepers who have pets or share their bed with a partner should prioritize this quality since any movement on a mattress at night can potentially wake you up. While memory foam is the best at isolating motion, some other modern mattresses have technology that helps with this. If you’re a light sleeper who shares the bed, an all-foam bed is probably your best bet, though. Replacing Your Mattress – When you’re dealing with back pain, it’s important to make sure you’re not sleeping on a mattress that’s too old. If your mattress is outdated, sagging in the middle, or you often wake up sore, it’s time to get a new bed. And, once you update your mattress, it’s important to keep track of how long you’ve had it to make sure you replace it when necessary. As a general rule, you shouldn’t have a bed for longer than 10 years. Keeping an updated mattress will help your body stay healthy and potentially minimize your back pain. < Average innerspring prices: Innerspring mattresses are the most classic bed style and are made with one or two layers of coils. Modern models often use individually wrapped springs, which helps reduce motion transfer and adds to the conforming ability of the mattress. Innerspring beds are the most affordable type of mattress and cost between $100 and $2,500, with the average model running around $950. < Average memory foam prices: Memory foam mattresses are slow-responding, conforming to your body’s unique shape to relieve pressure and tension. While some beds use just one or two layers of foam, others use multiple. You can expect to pay between $150 and $1,400 for a memory foam mattress, with the average cost around $860. < Average latex prices: Latex is a responsive mattress material made from either natural or synthetic sources. While it feels similar to foam, it doesn’t create the same cradling feeling and tends to sleep cooler. Latex mattresses are quite expensive compared to other bed types and can cost between $450 and $5,000, with the average model around $1,600. < Average hybrid prices: Hybrid mattresses combine coils and latex or foam. This creates a firm, supportive core with some bounce and a conforming surface that provides pressure relief. Hybrid beds tend to be the most expensive of all mattress types, running between $250 and $4,000, which the average model costing $1,850. Warranty – When you’re considering buying something as important as a new mattress, it’s important to protect your purchase. A good warranty can ensure that you’re covered if there’s some kind of error or defect in the mattress manufacturing. Don’t forget to check this information out before you buy your bed and keep the paperwork on hand. Some manufacturers require that you present their warranty information while filing a claim or complaint. Q: I suffer from chronic back pain. What type of mattress should I get? A: The type of mattress you should invest in will depend on what you want out of your bed. Memory foam mattresses allow you to slowly sink into the bed’s surface, minimizing pressure points and allowing your body to fully relax. Innerspring mattresses are better suited for people who need a firm, supportive core in their bed and a bouncy, responsive feel. And hybrid mattresses will have the best of both worlds, although they’ll also likely cost more. Q: How often should I replace my bed? A: When you have back pain, replacing your mattress on time is even more important. Did you wake up feeling rested this morning? If so, then it might not yet be time to replace your bed. If you wake up feeling tense or sore, however, your mattress could be the culprit. A worn out bed can lead to misalignment in the body and different mattress materials wear out at different rates. 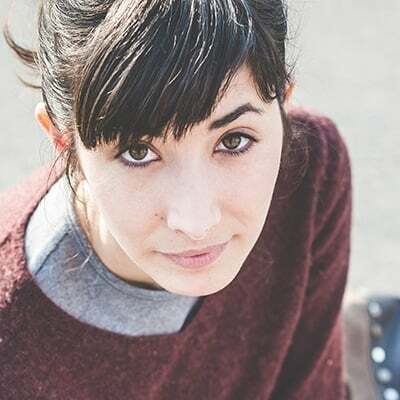 As a general rule, most mattresses won’t last longer than 10 years, but the best way to know when it’s time to get a new one is to listen to your body. Q: What’s the best sleep position for back pain? A: Sleeping on your back is the best position for spinal health and body alignment and should feel comfortable with a quality mattress. If you have back pain, sleeping in this position is your best bet for easing your discomfort. Some people find pain relief by putting a towel or pillow under their knees, which can reduce tension and strain by encouraging a natural spinal curvature. Keep your legs straight to prevent straining your hip or pelvis joints. You can also place another pillow under your lower back to see if that helps with the pain. Q: What about my pillow? Is there any pillow type that can potentially help back pain? A: While the right mattress is important for easing back pain, you should also be thinking about the pillow you’re using. Down pillows are made from the soft inner feathers of geese or ducks and, while comfortable, might not offer enough support to encourage a healthy spine position. Down alternative pillows are made from synthetic fibers that mimic the feel of down and come with the same issue as real down as far as not offering enough support for back pain. Memory foam pillows are made from shredded or solid foam and conform to the neck and head, relieving pressure. This can help with back pain, as it will allow the neck to relax, which helps relax the entire body. Q: Is firmer better when it comes to choosing a mattress for back pain? A: Some believe that the firmer the mattress, the better it is for easing back pain, but that’s not necessarily true. Too firm of a mattress can actually cause back pain by causing your lower back to arch unnaturally. Rather than choosing a mattress based on firmness, you should choose it based on how supportive and comfortable it feels to you. If your bed is firm without having enough support, it can cause upper back or shoulder pain, worsening your symptoms. Generally, a medium-firm mattress should work for you no matter what body type or sleep position you prefer, as it has a balanced level of support. If you’re among the countless people in America who struggle with persistent back pain, choosing a quality mattress is a crucial step in finding relief. A good bed can mean the difference between waking up rested and ready for the day and feeling exhausted. Our favorite mattress option for back pain sufferers is the Layla mattress since it comes in two firmness levels and is made from durable, high-quality materials.